Nigerian singer, Reekado Banks, whose real name is Ayoleyi Solomon, has parted ways with Don Jazzy’s Marvin Records. The 25 year-old singer announced his departure from Mavin Records on Instagram, with an emotional note. He thanked Don Jazzy for the opportunity he gave him when he signed with the record label in 2013. And Don Jazzy was graceful enough to wish the former protege well in his career. “Sign small boy …small boy turn big man. It’s been an incredible 5 years. Wishing you nothing but success”. Reekado post read: “Today I write in tears, not from a place of pain, but of joy and gratitude. A place of bliss and satisfaction because I am more than contented with how far this opportunity has brought me. The last five years have been the most blissful years of my career. The journey has been extremely wonderful and filled with the best experiences. “His selflessness and efforts towards me and the entire Mavin crew is one that is admirable and worthy of emulation. A true KING with a large heart, full of kindness and ready to accommodate even more people. And to the rest of the crew, Our family is a clear example of the saying, ‘We rise by lifting others’. Thank you all for all the times you’ve lifted me at my lowest moments, for the support, the amazing hits and most especially, the LOVE. 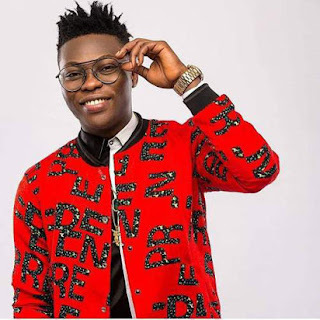 There has been no response to "Nigerian Singer Reekado Banks Quits Mavin Records"